The Consolidated Election will be held Tuesday, April 2. View early voting locations and times, a list of McHenry County polling locations, get an application to vote by mail and register to vote at the McHenry County website page here. View the voter guide here. 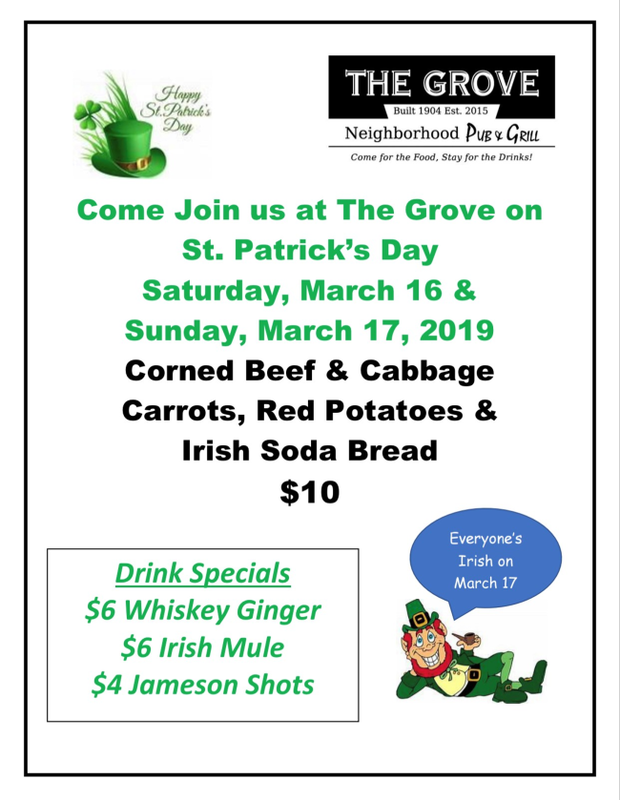 Come to The Grove for St. Patrick's Day specials on Saturday, March 16, & Sunday, March 17, for a meal of corned beef & cabbage, carrots, red potatoes & Irish Soda Bread, all for $10. Drink Specials are $6 Whiskey Ginger, $6 Irish Mule, and $4 Jameson Shots. View the flyer here . Located at 2008 Main Street. 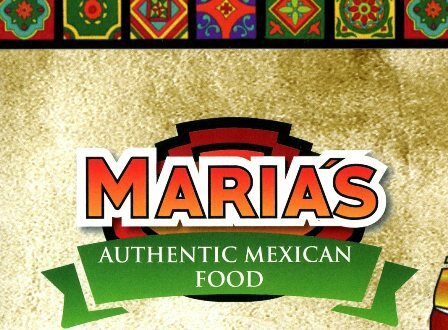 Due to popular demand, Maria's Authentic Mexican Food is now opening for lunch on Mondays from 10 AM - 3 PM. Maria's has daily specials for lunch and dinner. Enjoy a full menu of authentic Mexican food including yummy Mexican desserts. Located at 2207 Route 12 in the Spruce Point Mall. Welcome New Business & Cinderella Dress Swap! Friendly Advice LLC has created a beautiful space at 2021 Main Street to help you learn how to live your best life. They offer motivational friendly advice, Monday Makeover nights and more. View their website here . 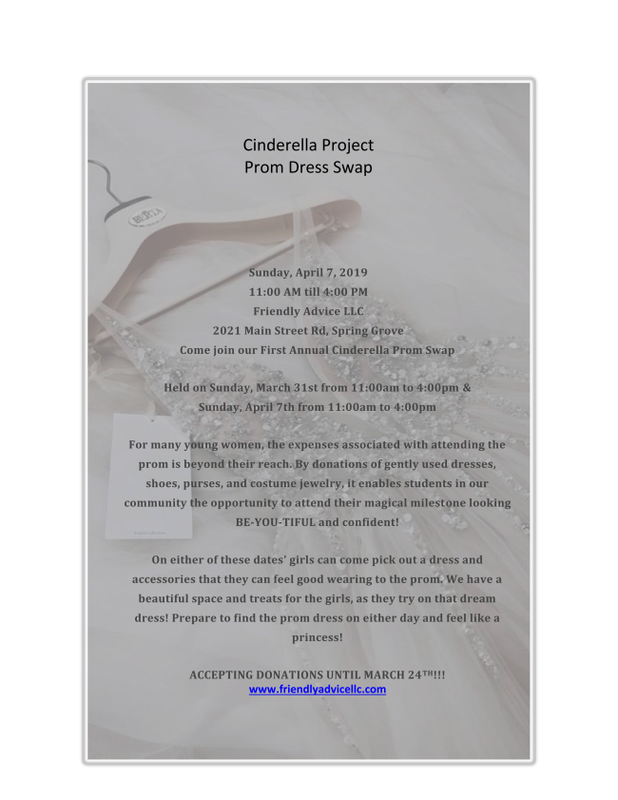 They are accepting donations of gently used prom dresses, shoes, purses, and costume jewelry for their first annual Cinderella Prom Swap. The Swap will be held Sunday, March 31, & Sunday, April 7, from 11 AM - 4 PM. View the flyer with more information! 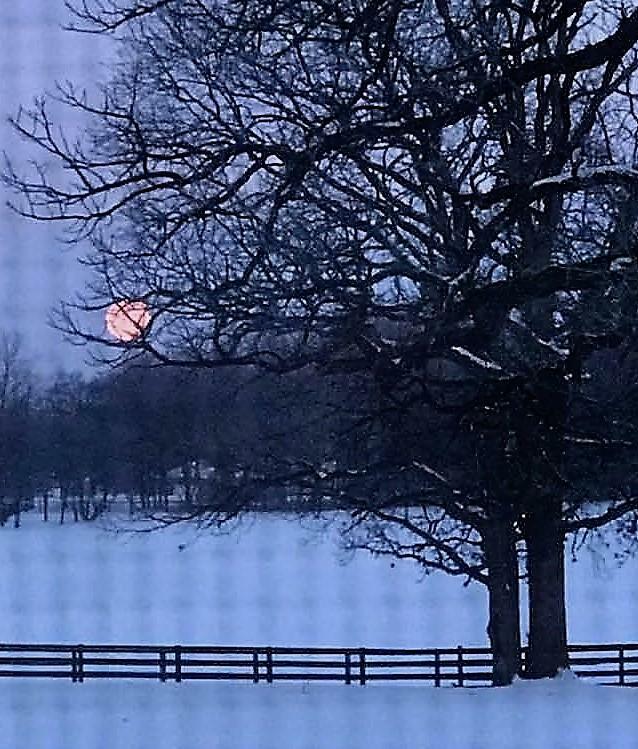 Martha Sieber sent this picture of the full moon sitting on a tree branch on a frigid February winter morning. If you have a photo of Spring Grove you would like to share, email it here . Book your Salon Carmani appointments online through Google. 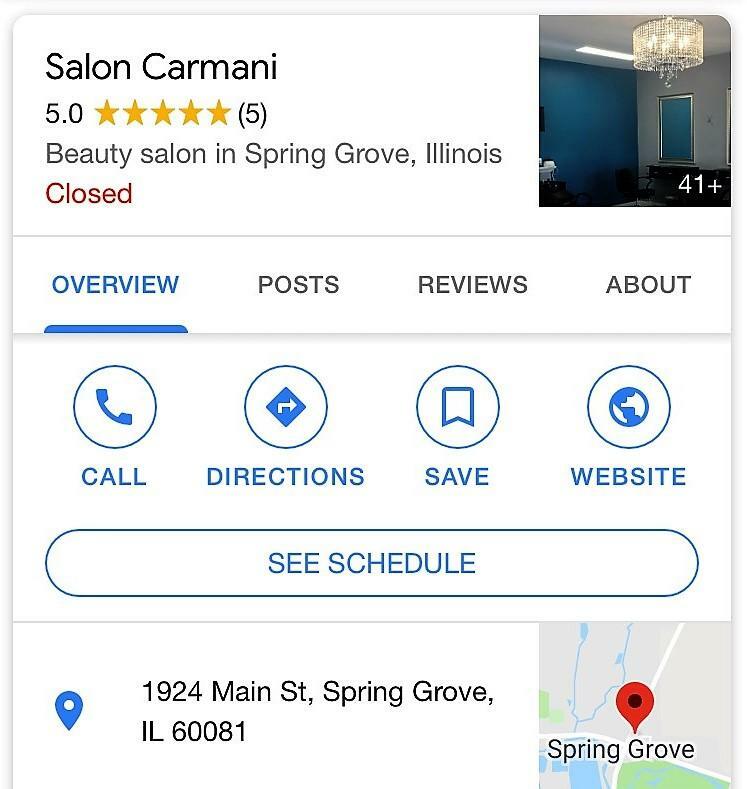 Just google Salon Carmani and click the "See Schedule" button. View the many types of services they offer, the costs and amount of time each service takes. Have You Seen Their Upgrades? 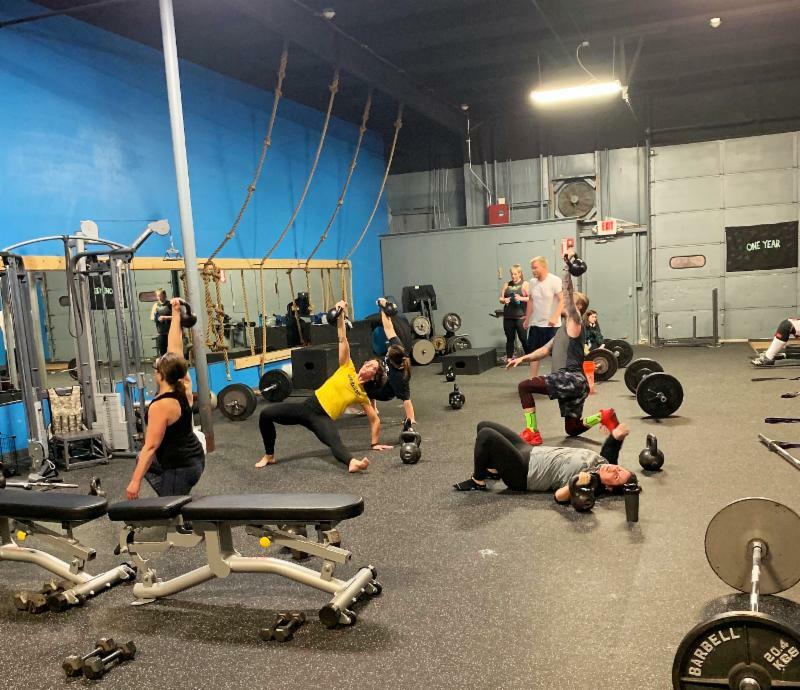 Did you know that NJ Elite Performance has made some major upgrades to their facility? If you haven't yet seen them, stop in and check them out! This was only step one of some big changes coming your way! Visit them here for more information! 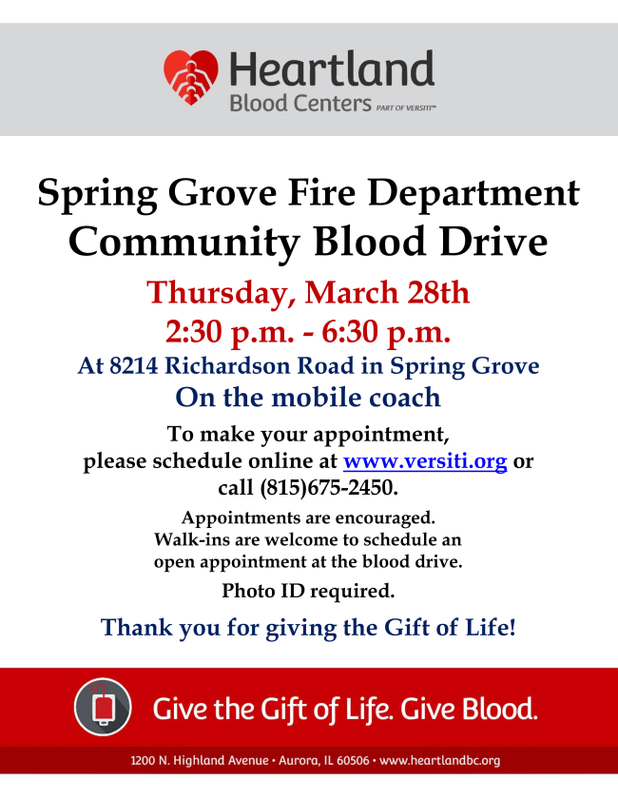 The Fire Department Community Blood Drive will be held Thursday, March 28 from 2:30 - 6:30 PM at 8214 Richardson Road. To make your appointment, schedule on-line at www.versiti.org (click Donate Blood then do a city search under Quick Links) or call 815-675-2450. 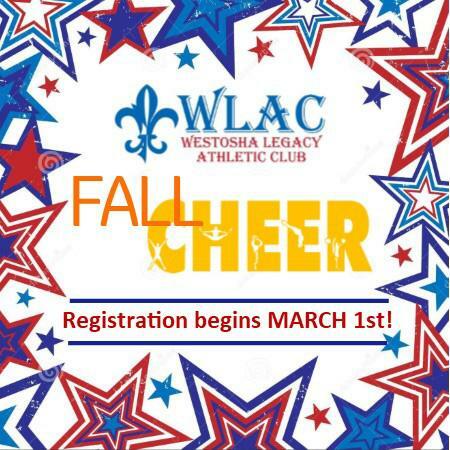 WLAC Fall Cheer registration is now open! For more information please stop in WLAC at 2449 Pierce Drive or call 815-675-3005. For grades 1st through 8th. Teams practice July through November. View more information here .